On September 10, 1909, the directors appointed real-estate developer Colonel D. C. “Charlie” Collier to be director-general of the Exposition. “Colonel” was an honorary title given to Collier by California governor James M. Gillett in 1907. Collier was the mastermind of San Diego’s 1915 Panama-California Exposition, shaped Exposition policies, chose City Park as the site, Mission revival as the architectural style and human progress as the theme. He lobbied at his own expense for the exposition before the California state legislature and the U.S. Congress and traveled to South America for the same purpose. Colonel David Charles Collier thought up the idea of an ethnology exhibit for the Exposition that would present the indigenous background of the Americas. After discussing the matter with business-people and scholars, he decided to concentrate on the archaeological and cultural resources of the Southwest. He chose the Southwest for interpretation, rather than San Diego County or California, for by so doing, people with means in the southwestern states could be persuaded to send exhibits. 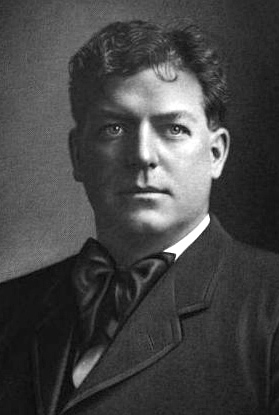 Collier served as president of the Exposition from 1912-1914. He reportedly gave $500,000 of his own money to the Exposition and paid his own travel expenses on promotional trips to Washington, D.C., South America and Europe. His real-estate business foundered and, burdened by debt, he was compelled to resign the presidency on March 14, 1914.